Josh Slotnick has a job stopping the craziness of the world with the chicken straw of these poems and wants to get into a big conversation about it. Farming this book in patches, Josh pours himself into the earth at all hours, doing the tough work of transforming a jangly mess of words into a field plumb, straight and level. 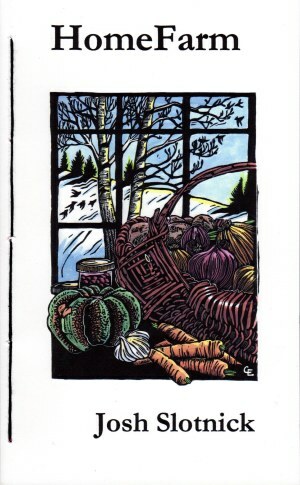 HomeFarm is a documentary, a daily almanac of a real-world place that reflects the truth of where poetry comes from. Josh Slotnick has been fortunate for many years. He lives and farms with his family in Missoula, Montana. 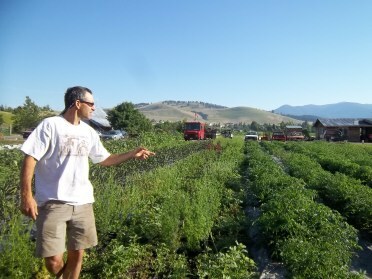 He also works on the University of Montana's Environmental Studies program's/Garden City Harvest PEAS farm.